Another heart-warming story of courage, commitment and achievement in our Sunshine Superstars series. 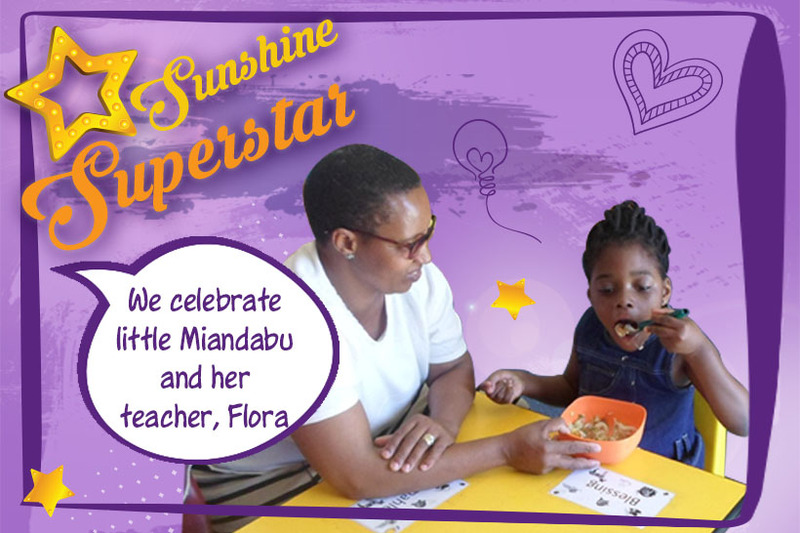 Today, we celebrate little Miandabu and her teacher, Flora. Miandabu Kabangu was born with hydrocephalus – (from Greek hydro, meaning “water”, and kephalos, meaning “head”) a rare medical condition in which there is an abnormal accumulation of cerebrospinal fluid (CSF) in the brain. The increased pressure inside the skull can cause progressive enlargement of the head if it occurs in childhood, potentially causing convulsions, tunnel vision, and mental disability. Because hydrocephalus can injure the brain, thought and behavior may be adversely affected. Learning disabilities including short-term memory loss are common, as are motion and visual problems and problems with co-ordination. 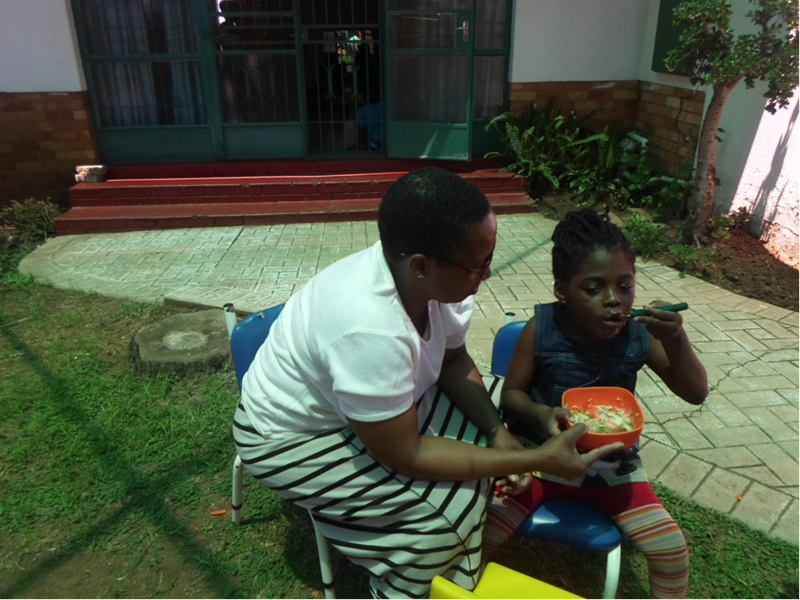 When Miandabu first came to Sunshine Centre in August 2015, she was 5 years old and unable to feed herself. 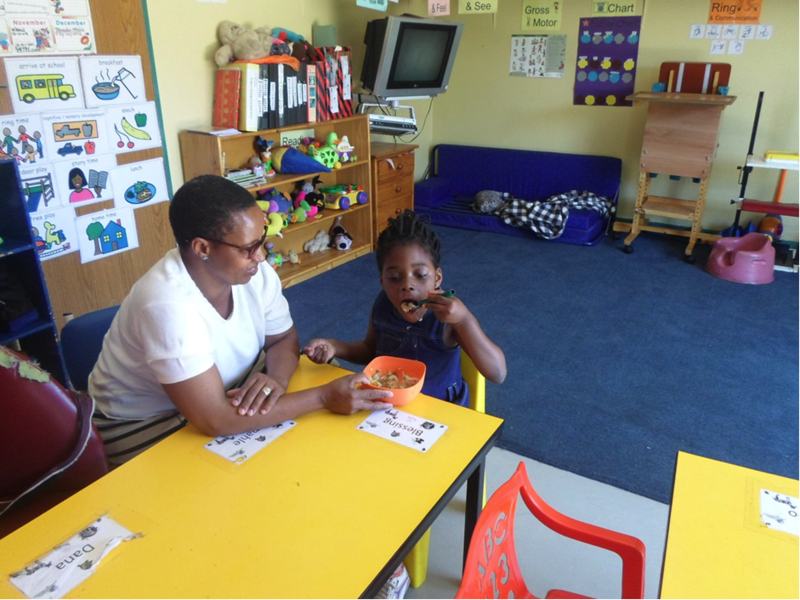 Her teacher, Flora Moloi, would patiently assist her to eat by holding her hand as she scooped the bowl and put food in her mouth. On the 10th of February this year, Flora was astonished when Miandabu suddenly reached for a spoon and began feeding herself. It was a moment Flora will never forget, “I was overwhelmed – it was a wonderful gift for both of us.” Flora’s commitment, care and attention were the keys that opened up a new world for a special little girl. Our incredible staff and children inspire and delight us every day. We welcome your calls and queries – let us help your child become a Sunshine Superstar.